Debut 7" from this scuzzy punk band from Madison, Wisconsin. Strongly reminiscent of "Bleach" -era Nirvana, with all of the big hooks, noisy guitars, and heavy bottom end that that implies. 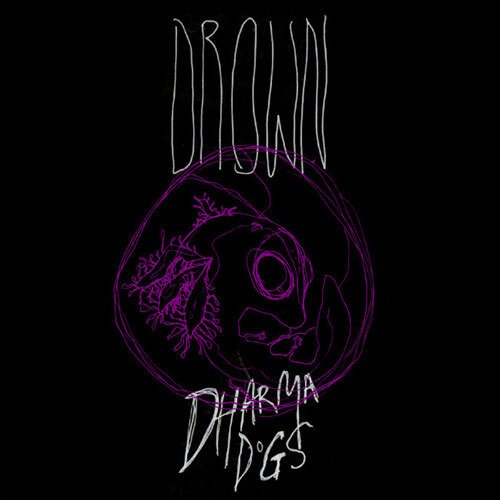 Obviously there are a lot of bands that are going for a noise rock kind of thing and reference early Nirvana, but Dharma Dogs just sound like a tough punk band with great songwriting who aren't trying to ape anything in particular. Translucent blue vinyl in full colour sleeve with xerox insert and digital download coupon. Blue vinyl limited to 107 copies out 522 copies in total.